The Japanese School of Guam seeks to create and foster an environment where students learn academic content, skills, and character through a variety of experiences and mediums. The school aims to provide individualized instruction that meets the needs of students, at their level, to best prepare them for the future. Throughout their time at the Japanese school, students will develop leadership and teamwork skills that help them work with classmates and younger / older students. We aim to encourage our students to focus on the value of developing a strong work ethic through mentoring relationships and accountability. Our school culture aims to create an environment where students want to learn and grow. 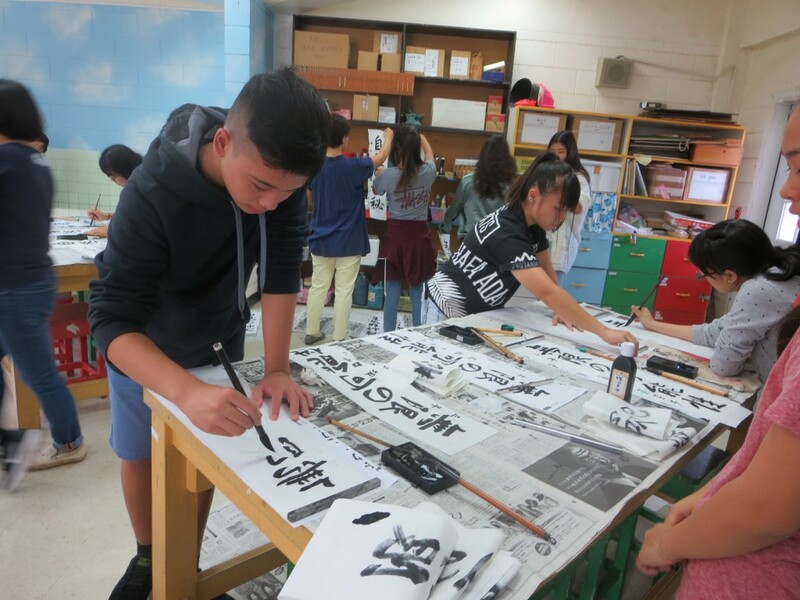 The Japanese School of Guam has functioned in many morning Japanese classroom study program organized by the Guam Japanese Association to the full day and weekend school program that the school is today. March 1972 – The education section of the Guam Japanese Association initiated the idea of ​​opening a classroom for Japanese language lessons on Guam. May 1973 – Japan Airlines Airport Office conference room began being used as a supplementary teaching school for Japanese languages. September 1975 – The Japanese Language Supplementary School moved from the Japanese Airlines office to St. John’s Episcopalian School. September 1979 – The Japanese Language Supplementary School was relocated once again from St. John’s to Fujita Hotel. July 1987 – The Japanese Language Supplementary School was relocated to Tamuning Elementary School. Due to growing numbers of studnets, the school used 6 separate classrooms within Tamuning Elementary. April 1988 – Establishment of a Japanese School at the General Assembly. The original concept for the school was proposed at the meeting. April 1989 – The Agana Japanese School held its opening ceremony and began functioning as a full – day and supplementary lesson school. Classes were held at PIC Hotel. April 1990 – By the end of April, the current school facilities in Mangilao were completed and the full – day and supplementary lesson school were relocated to its current location. December 1993 – The current campus is Mangilao was renovated with a tennis court and gardening area. August 1995 – The school began school bus operations. A new school but was donated to the school. March 1999 – The school’s name officially change from Agana Japanese School to the Japanese School of Guam. April 2002 – The school had its grand opening for its full-time kindergarten program. June 2013 – The school gymnasium was completed and inauguration ceremony was held. December 2014 – a new school buss (donated by Kloppenburg Enterprises) was included in bus operations. The Japanese School of Guam continues to innovate and adapt to the changes and needs of students and families on Guam, in order to continue to advance both language development and intercultural relationship within the island community.